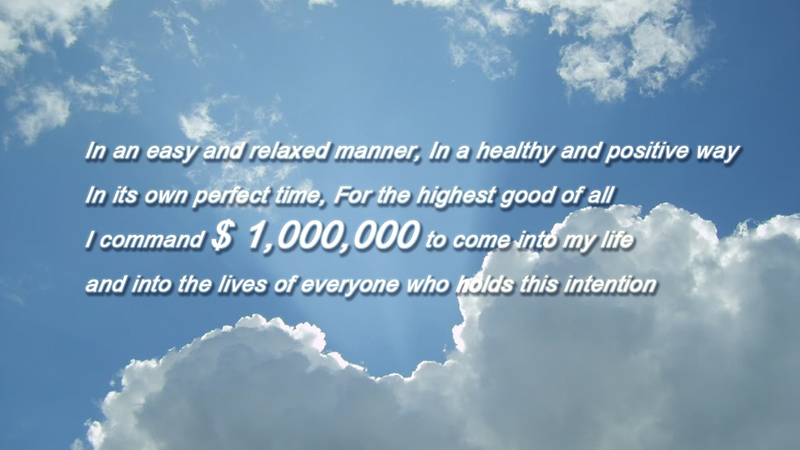 Ps: I got the image from google, and the awesome motivational words from steve pavlina website..btw the orginal words are "I intent" but I change it into "I command"
I understand that the Law of Attraction requires one to affirm and/or visualize that the goal is being achieved / has already been achieved . This wallpaper seems to indicate that there a currently a lack of $ 1 million dollars, and there is an intention to get in the future. I am confused. Please educate me. Thank you. "come into" could be seen as affirming that the money already exists, and you are commanding it into your experience. you are opening yourself up to the receipt of the money, not wishing for it or hoping iit will somehow appear before your eyes. these are just word games and you can interpret them in a way that suits you best. if you make up your mind that the words hold more power than your intent, you will experience what you THINK the words represent.